So often I hear people declaring themselves “sugar addicts” and they “know” they have to give up sugar if they have any hope of achieving their health goals; whether that’s weight loss, hormonal balance, more energy or glowing skin. 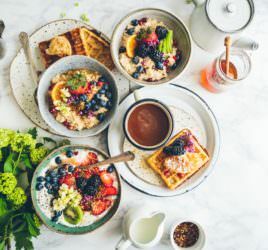 Whilst there is no doubt that the amount of sugar consumed will have a significant impact on achieving all of the above, embarking on a strict sugar-free diet to achieve these health goals is not the answer. As an experiment, one of the journalists at Healthista had committed to a 31 day strict no sugar diet. 2 weeks in, I was consulted when she began to feel debilitating symptoms and day-to-day activities became more of struggle.